The role of this team is to ensure all aspects of ministry within Friend of God are kept accountable and that they are administratively well lead. As the leader of Friend of God, Gerald Ferreira, is celebrated on many platforms with a distinct passion for mobilizing the church towards its missional call. Gerald’s passion for people and for God can only be described as vibrant and those who know him well will testify that he continuously reminds them that God is on the move. Liezl Ferreira, who leads alongside Gerald, is fueled by her love for God and her passion for seeing the next generation come to the knowledge of Christ. As much as she embraces the call to walk upfront, if given any opportunity, you will often find her quietly wanting to mobilise leaders to be involved in reaching the next generation. Andre Swart and have one daughter Chantelle. She is staying in Wynberg, Cape Town. Janine du Toit is the administrator of Friend of God. She has been a member at Friend of God for about 30 years and loves serving as a full-time member on the team. Implementing work structures, administrating and leading from her world all contributes to seeing the vision being established globally. Janine and Francois have been married for 21 years and have 3 adorable children. Amarisa Du Toit is the Financial Administrator for all campuses. She oversees activities regarding the running of finances within the annual budget. Integrity and diligence are the two words that best describe her. She is married to Morné and has 2 children. She also plays a role in the Governance Team. Nico and Veronica Buys has been in ministry for more than 28 years. Their passion is to see the church operating in unity, and being spiritually mature as the Body of Christ. Their love for God and people can be seen in everything they do. Together they fulfil a mentorship role in the lives of all Friend of God campus teams globally. Henry Strydom has been a member of Friend of God since January 1961. He has served on the Governing Board for 55 years and has been an office bearer as Secretary and Vice-Chairperson since 1967. He also serves alongside Gerald Ferreira with regard to the West Coast Region of the AFM. Most of his working career of 50 years was with the Bargaining Council for the Building Industry (Cape of Good Hope) some 44 years where he retired as Secretary of that Council. He is married to Maleen, has two sons (Marius and Eben) and five grandchildren. The role and function of the Governing Board is to ensure good and sound governance practice of the assets, as well as to ensure that staff and leadership stay accountable to the vision of our church. Gerald Ferreira is the lead pastor of Friend of God and is celebrated on many platforms with a distinct passion for mobilizing the church towards its missional call. His passion for people and for God can only be described as vibrant and those who know him well will testify that he continuously reminds them that God is on the move. He is married to the co-lead pastor of Friend of God, Liezl Ferreira, and they have 3 children: Caleb, Amy and Talia. 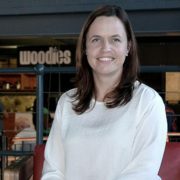 Janine du Toit is the Administrator of the Governance Team. She has been a member at Friend of God for more than 25 years and loves serving as a fulltime member on the team. Implementing work structures, administrating and leading from her world all contributes to seeing the vision being established globally. Janine and Francois has been married for 20 years and have three adorable children. Jaco Carstens’ heart has always leaned towards outreach until he was called for governance duty as the treasurer. Jaco and his wife, Bertha has been a member of Friend of God for 50 years collectively. They have 3 boys and a girl who are also keen to serve Friend of God. He studied B.Accounting at Stellenbosch University and qualified as a chartered accountant while working at an audit firm, Ernest & Young. Today Jaco holds an Executive position at Capitec Bank (Credit) where he has been employed for the last 12 years. Jaco now appreciates the interaction with the church board and the team of pastors as much as all outreach & fellowship activities at the Friend of God. Marno Retief (PhD) is an ordained pastor of the AFM. Marno holds a PhD in practical theology from North-West University. Marno also has a great passion for the role of music in facilitating our worship of God, having been a worship leader in the past. Furthermore, Marno is passionate about the importance of theological education, and is involved with Cornerstone Institute as a part-time lecturer in theology. Marno is married to Benita. They are the proud parents of two daughters and a son. Gerrie Coetzee is the campus leader of Friend of God, Vredekloof Campus. He has been in ministry for more than 15 years and has been serving at Friend of God since 2013. He has a passion for people and love seeing people grow and mature in their spiritual journey. Gerrie has a natural teaching gift and is a great communicator. He is married to Monica and they have two grown children, Burger and Miné. Japie de Bruyn is the campus leader of Friend of God, Malmesbury Campus. Japie is an ordained pastor of the AFM. He is married to Natasha and they have four wonderful children. Nico Buys has been in ministry for more than 26 years. His passion is to see the church operating in unity, and being spiritually mature as the Body of Christ. His love for God and people can be seen in everything that he does. Together with his wife, Veronica, they fulfil a mentorship role in the lives of all Friend of God campus teams globally. Chris Beukes is a marketing consultant for a precision engineering company who specializes in medical prosthesis. He is a husband and father who values the importance of family. He has a passion for fathering young men and youth and has done so for more than 20 years. JJ Olivier is the Financial Director of Fair Cape. He is passionate about the local church and has been serving at Friend of God for several years. JJ’s desire is to see Biblical principles being implemented in the market place and to see the church rise and influence every sphere of life. He is married to Miriam and they have 3 beautiful daughters. Leon Abrahams has been at the Friend of God for over 31 years. He has been serving on the Governing Body as well as the Missions Board for over 20 years. He is a Senior Financial Planner and also founder and principal of Aquila Wealth Blue Star Financial Services at Sanlam. He is married to Madeleine and they have two daughters Madle and Liezl. Shaun Evans is the General Manager of Fineline Print Solutions. Shaun, his wife, and children have been members of Friend of God for many years. Jerome Samuels is an Ordained Pastor in the AFM. He is married for 22 years to Renee and they have 2 children Storm and Stacey-Lee. He is employed by the Department of Correctional Services in South Africa. He functions as an Area Coordinator in Development and Care. He is responsible for the Management of Professional staff i.e Psychologists, Social Workers, Nurses, Educators, Pharmacists and Nutritionist. He is qualified in diverse fields such as Theology, Project Management, Public Relations, Community and Social Development. He has a passion for Social Development. He obtained a Magister Artium (MA) at UWC and is currently busy with his PhD in Child and Family studies. Jan van den Bergh is the CEO of Ginyan Commercial CC, a brokerage focussing on sales and leasing in the Industrial and Commercial market. He has been married for 38 years and has beautiful twins. He is actively involved in evangelical work and has a passion for welfare related issues. He is now also a very proud OUPA. Kobus Jordaan has been a member of the Friend of God family since the day he was born. He is a Financial Planning professional and is passionate about improving people’s lives by helping them build a sound financial plan. He is married to Adéle and have two children, Kobus jnr. and Lara. Nico Botha is the eldest son of the former Lead Pastor of the Friend of God Family. Nico has been involved and serving the assembly for the past 27 years. He is married to one of the daughters of the assembly Cornel. Together they have 2 intelligent daughters both studying at Stellenbosch University. Henry Strydom has been a member of Friend of God since January 1961. He has served on the Governing Board for 55 years and has been an office bearer as Secretary and Vice-Chairperson since 1967. Most of his working career of 50 years was with the Bargaining Council for the Building Industry (Cape of Good Hope) some 44 years where he retired as Secretary of that Council. He is married to Maleen, has two sons (Marius and Eben) and five grandchildren. Gerald Ferreira is the global senior pastor of Friend of God and is celebrated on many platforms with a distinct passion for mobilizing the church towards its missional call. His passion for people and for God can only be described as vibrant and those who know him well will testify that he continuously reminds them that God is on the move. He is married to the co-lead pastor of Friend of God, Liezl Ferreira, and they have 3 children: Caleb, Amy and Talia. Gerda Swart served in the SANDF for 28 and a half years as Secretary. With over 35 years of experience in this field, she is doing her job with diligence and zeal. She is very passionate about her work. 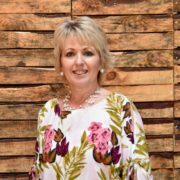 She is currently the Personal Assistant of the Lead Pastors of Friend of God, Gerald and Liezl Ferreira. She is married to Andre Swart and have one daughter Chantelle. She is staying in Wynberg, Cape Town.